The Obama administration's climate change agenda on Monday faced one of its first tests in front of the U.S. Supreme Court, which heard a case brought by Texas and industry leaders against a federal greenhouse gas regulation. The Obama administration's climate change agenda on Monday faced one of its first real tests in front of the U.S. Supreme Court, where Texas and a group of industry leaders challenged an Environmental Protection Agency regulation aimed at limiting greenhouse gas emissions. The question before the court is whether permits needed by large polluting facilities like power plants, factories and refineries should also restrict emissions of greenhouse gases. Texas and several industry coalitions say the permits, which companies must obtain before building facilities, should not be required for such emissions. Instead, argued Texas Solicitor General Jonathan Mitchell and Washington, D.C.-based attorney Peter Keisler, permits should only limit emissions of regular air pollutants like sulfur dioxide and nitrogen oxide. "Greenhouse gas emissions should not be treated the same as other air pollutants," Mitchell told the court, pointing out that Congress has only passed legislation on traditional air pollutants, not greenhouse gases. "Congress does not establish round holes for square pegs." The scope of the question at hand is narrow because it only deals with permitting. In court cases in 2007 and 2011, the Supreme Court upheld the EPA's ability to broadly regulate greenhouse gas emissions from "mobile sources," like motor vehicles, and "stationary sources," like power plants. Still, if Supreme Court justices agree with Texas and the industry petitioners, the Obama administration's attempts to combat climate change independently of Congress will suffer a major setback. Texas has voiced some of the most avid opposition to the new greenhouse gas permits and refused to issue any until recently, possibly hurting companies that needed them. The state will soon begin to issue the permits, but a law passed by the Legislature last year says the Texas Commission on Environmental Quality must stop doing so if the rule is deemed illegal by the Supreme Court or Congress. If the Supreme Court rules against the EPA, only the permitting process in question would require changes. Limitations that the agency sets on greenhouse gas emissions would not necessarily be in question. But Jacob Hollinger, a New York-based environmental lawyer and former counsel for the EPA, said challenges to newly proposed rules limiting greenhouse gas emissions from current and future coal plants would be more likely. "It’s going to create some ambiguity about EPA’s authority," Hollinger said. "Once these decisions are entered, once the decision is written, they take on a life of their own." Legal analyst Lyle Denniston of SCOTUSblog said oral arguments indicated that Justice Anthony Kennedy, who has often been the swing vote in environmental cases before the high court, is likely to side with the Obama administration. "The Environmental Protection Agency seemed close to being able to garner five Justices on its side," Denniston wrote. "The vote of Justice Anthony M. Kennedy loomed as the critical one, and that vote seemed inclined toward the EPA, though with some doubt." But Hollinger thought otherwise, especially since some justices expressed confusion over basic elements of environmental statutes and about the relevance of the case to climate change regulation. “I would say it’s really impossible to predict what’s going to happen," he said. “The questions illustrate the complexity of the Clean Air Act." Editor's note: An earlier version of this story said that the state was already issuing permits. 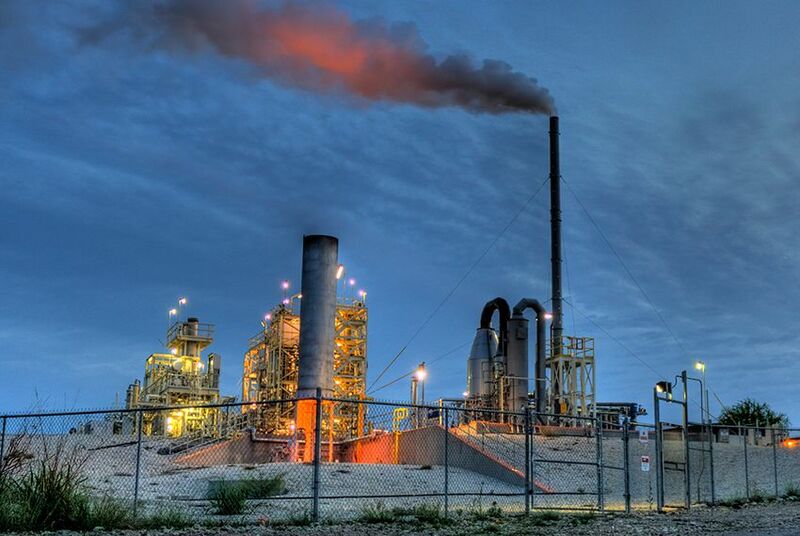 It has been corrected to reflect the fact that Texas is developing rules to begin issuing greenhouse gas permits, but has not yet started doing so.